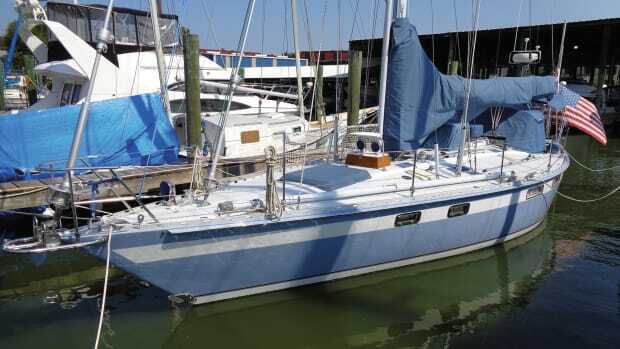 The Southerly range of beachable swing-keel cruisers from Britain’s Northshore Yachts has been consistently represented in the United States now for a number of years, which is a good thing, as there are many cruising grounds here where shoal-draft capability is a great advantage. Every time I sail a Southerly, I come away impressed by the utility offered by their ballasted swing keels and by the high quality of their design and construction. This latest offering, the Southerly 49, was no exception. Build and finish quality are high. Construction materials and techniques are hardly exotic, but are certainly strong. The hand-laid hull, which incorporates the keel box as an integral part, is solid laminate below the waterline, foam-cored above, and strengthened with transverse frames and longitudinal stringers. Multi-axial and unidirectional fabrics are used in high-load areas, and bulkheads are fully bonded to both the hull and deck. 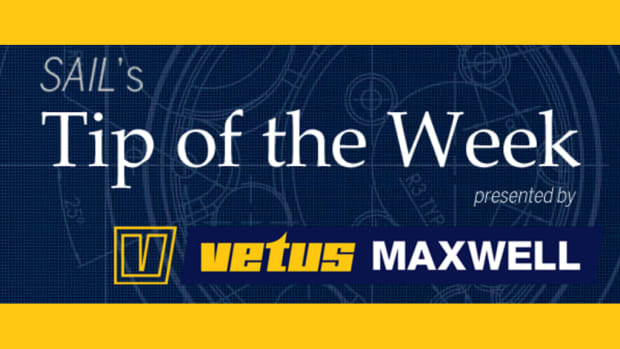 The deck joint is bonded with Plexus and through-bolted on a generous flange. The cast-iron swing keel pivots on a stainless steel pin and is controlled with a hydraulic ram powered by an electric pump. 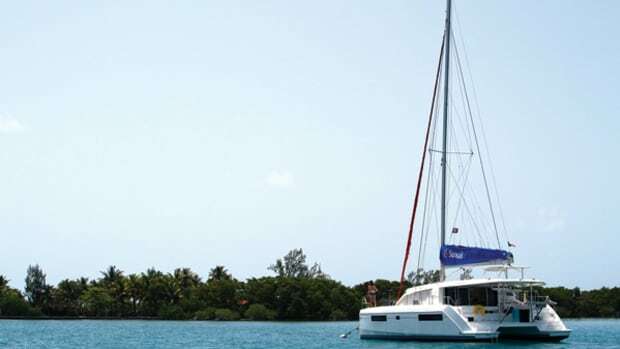 There is also a manual back-up system, or the boat can be ordered with an optional fixed keel. A pair of short semi-balanced rudders allows for grounding and ensures good helm control, even when the boat is on its ear. 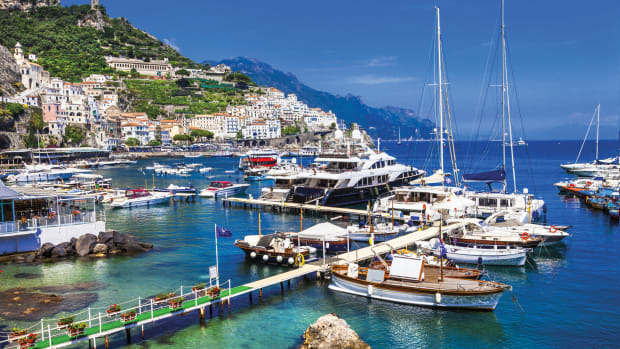 The systems installations overall are top-notch, well organized and quite modern, earning the boat a SAIL magazine 2012 Best Boats award in this category. The primary feature is a digital distributed-power electrical system that greatly simplifies the wiring harness and enables advanced computerized diagnostics. 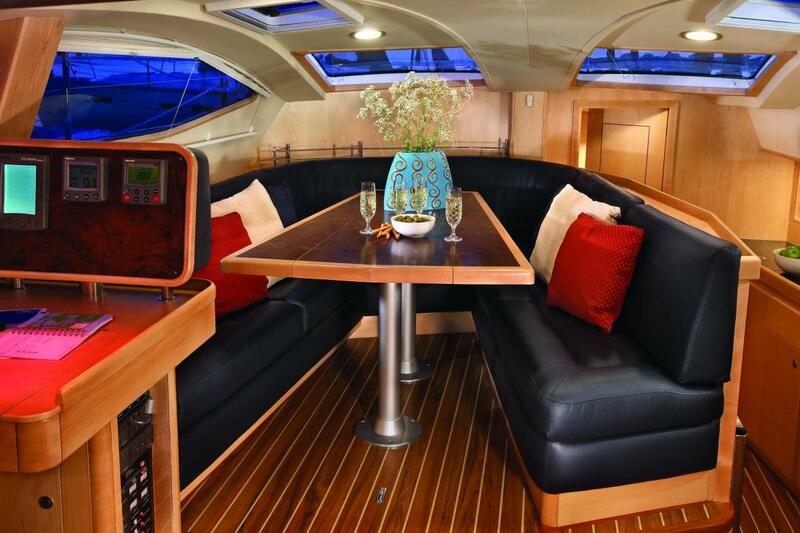 The boat comes standard with Seldén spars and Lewmar hardware. All working lines from the mast are led under the coachroof to a pair of companionway winches. The mid-boom mainsheet and single sheet for the 100 percent self-tacking jib (both double-ended) are led under the deck to power winches just forward of the twin steering pedestals and are easily controlled by the helmsman. A larger overlapping genoa, set on a separate stay just forward of the jib, sheets over the deck via conventional genoa tracks to winches set in the middle of the cockpit coamings beyond the reach of the helm. This second pair of winches can also be used to control an asymmetric spinnaker or gennaker set on a removable bowsprit. The cockpit is not large for a modern boat this size, but it is very seamanlike, and the working ergonomics are excellent. The high coamings provide plenty of back support, and the footwell is narrow enough that crew seated to weather can easily brace themselves in place. Back aft at the wheels, it’s easy to get comfortable and steer both from a standing and seated position. There is no walk-through transom, but there is a small fold-down swim platform to provide easy access to the water. The interior finish is superb. Down below you’ll find a wealth of fine hardwood and sumptuous leather trim, cedar-lined lockers and other high-end features, like integral LED lights in the hanger rods in the hanging lockers. The layout is straightforward and, again, very seamanlike, with lots of handholds and usable storage space. Up forward there is a suitably palatial owner’s stateroom with an island double berth and ensuite head with a separate shower stall. Back aft there are twin double staterooms under the cockpit, which are reasonably well lit and ventilated and have proper double berths that can be easily split into singles. The saloon is raised, and those seated at the wraparound dinette table or at the nav station will enjoy expansive views through large side ports. The dinette settees are well designed, in that they can accommodate two sleeping bodies. All told, between the saloon and aft staterooms, with lee cloths strategically deployed, this yacht can comfortably sleep as many as six when sailing in a seaway. The galley should also prove quite serviceable at sea. It’s set low in the hull on the starboard side in a trench along the dinette and keel box, and cooks can easily brace themselves while working. The only downside is that this is a very narrow space, and anyone moving to or from the forward cabin must entirely displace the cook to get where they’re going. 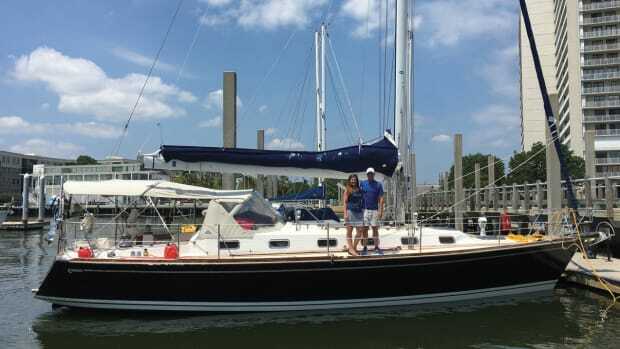 I sailed the boat on Chesapeake Bay in moderate winds ranging from 9 to 12 knots. It felt firmly rooted at all times, even with the keel up, thanks largely to its conservative weight distribution. In addition to the heavy keel (4,519lb), there is a great deal of fixed ballast (11,530lb) and nearly all the heavier systems, including tanks, the generator and batteries, are situated low and in the middle of the boat under the saloon. Performance-wise, the Southerly was no slouch. Under its working jib, with the keel all the way down, the boat sailed at about 5 knots at a tight 30-degree apparent wind angle. With the genoa out this improved to over 5.5 knots. Widening the angle to 45 degrees, our speed increased to well over 6 knots, and I found we could add yet another half knot to this by raising the keel, though this caused the boat to make noticeable leeway. With a big nylon gennaker up, sailing on a close reach with the keel partway down, we hit a top speed of 7.2 knots. 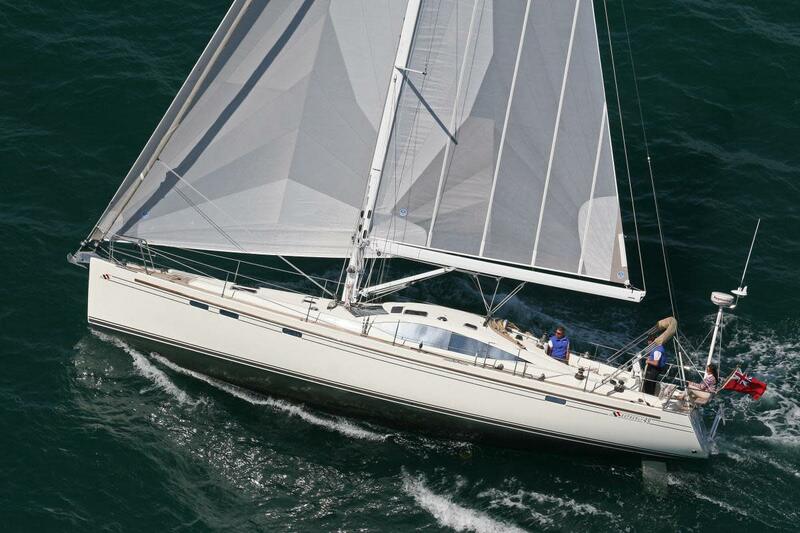 This brief survey of sail configurations should give some idea of how versatile the boat is. 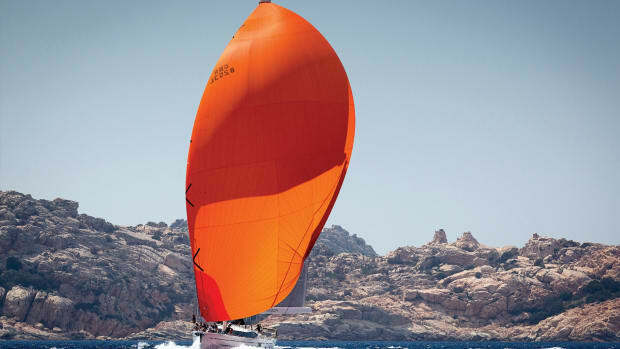 You can actually sail it in a reasonable manner with the keel all the way up, at least in moderate conditions, and can fine-tune your draft and weight distribution simply by pressing a button at the helm. 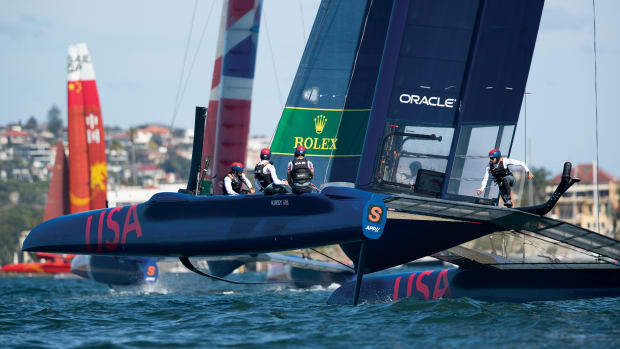 The keel-control display makes it easy to see how much keel is deployed and the stately speed at which the foil moves allows plenty of time to make adjustments. The boat was quite maneuverable, with excellent directional control in reverse, thanks to its twin rudders. With the keel up the boat turns in about 1¾ boatlengths; with it down this tightens to just one boatlength. Speed under power was also gratifying, given that the 53hp engine may seem a bit small for a boat this size and weight. With the keel up we made 6.7 knots in flat water at a cruising rpm of 2,200. At full power, 3,400 rpm, this increased to 8.4 knots. For anyone looking for a boat that can cruise in skinny water and also comfortably cross an ocean, this boat presents an incredibly attractive package.  Its versatile sailing characteristics, superior build and finish quality, modern systems and seamanlike deck and interior layouts make it a one-of-a-kind cruising platform that any sailor would be proud to own.